Warning: Cap not suitable for children under 36 months as it contains small parts that may pose as a choking hazard. 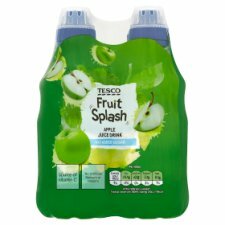 Water, Apple Juice From Concentrate (12%), Acid (Malic Acid), Vitamin C, Flavourings, Acidity Regulator (Sodium Citrate), Preservatives (Potassium Sorbate, Dimethyl Dicarbonate), Sweeteners (Acesulfame K, Sucralose). Once opened, keep refrigerated and consume on day of opening and by date shown.